Bishop Verot would like to thank the Athletic Booster Club for this shiny new equipment. 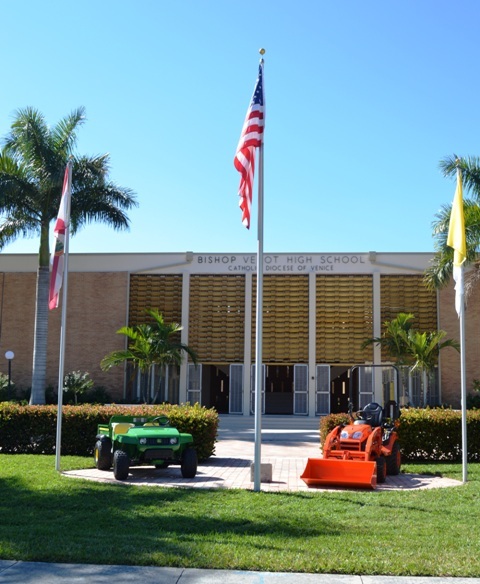 A new John Deere Gator and Kubota Tractor will replace our very tired, worn, twenty-year old equipment for maintaining the athletic facilities and school grounds. Thank you, also, to all those who support the Athletic Booster Club, making this improvement possible.